Bring together the art and science of teaching with innovative professional development to help you reimagine your craft. 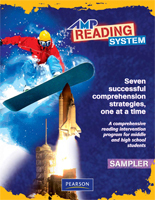 Let our wide array of AMP™ Reading System on-site workshops and job-embedded services help you build your instructional skills and refine your instructional practices. Learn More.